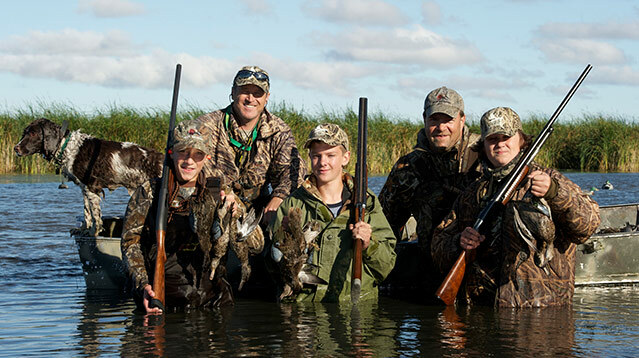 Continued loss of wetlands and grasslands in the Prairie Pothole Region has made it the most threatened breeding waterfowl habitat in the U.S.
Conservation programs and policies, such as the Migratory Bird Hunting Stamp Act (passed in 1934), benefit bird conservation and people within the U.S. Prairie Pothole Region and well beyond. 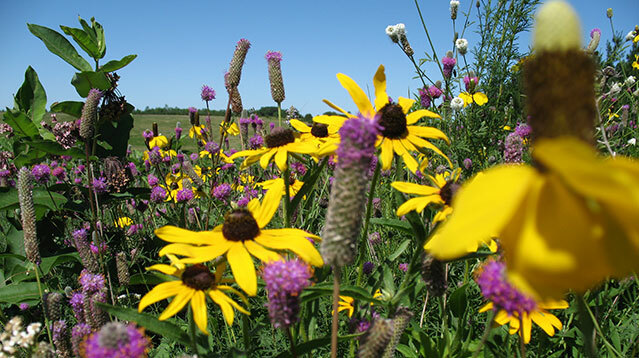 Native prairie is not only beautiful, it provides habitat to birds and bees, which are critical for pollinating many of our food sources. 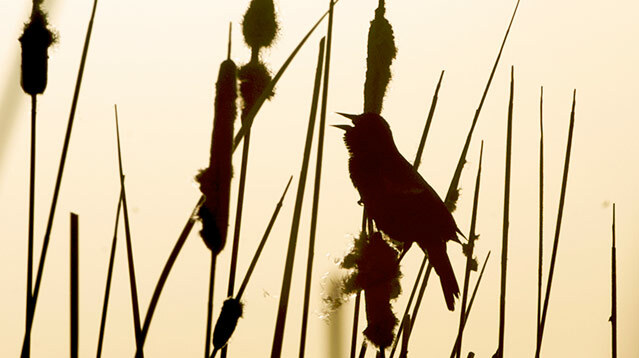 Many birds rely on the wetlands and grasslands of the prairie for breeding grounds and migration stop-over habitat. 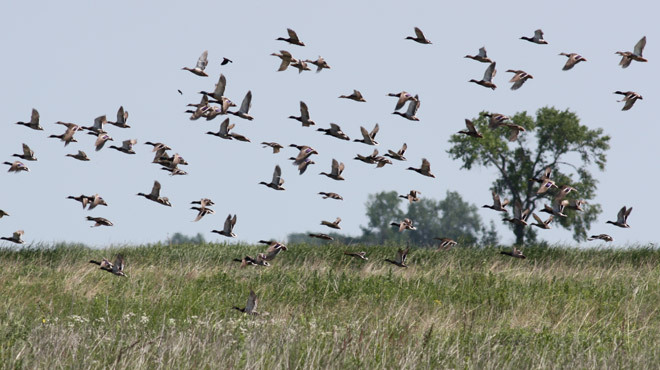 The Prairie Pothole Joint Venture (PPJV), established in 1987 as one of the original six priority joint ventures under the North American Waterfowl Management Plan, protects, restores and enhances high priority wetland/grassland habitat to help sustain populations of waterfowl, shorebirds, waterbirds and prairie landbirds. The PPJV boundaries include one-third (100,000 square miles or 64 million acres) of North America’s Prairie Pothole Region (PPR).